There are many options (and opinions) when it comes to budgeting apps for Mac users. We’ve put many of them through the ringer and believe Banktivity 6 (formerly iBank) has the right blend of powerful features and ease of use that can help just about anyone take control of their finances. When it comes to personal finance software, there are a lot of options available, along with a lot of very strong opinions on which one is the best. The ability to add transactions quickly and seamlessly. The ability to import/sync bank and credit card statements. The ability to review accounts and financial status at a glance. You will find these key features at the heart of just about every personal finance app. The difference is usually in how they are implemented, and in this review we compared them side-by-side to see what worked…and what didn’t. When it comes to your financial future, failing to budget is setting yourself up for failure. One of the quickest ways to run out of money is to not have a plan for how you’re going to spend it. And if you want to improve your plan for how you manage your money, you have to first know how you’re currently spending it. 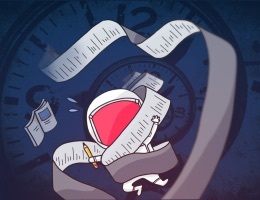 In the past, this meant that you had to spend hours collecting old statements and cross-checking a spreadsheet that you had to meticulously maintain yourself. Fortunately, there are quite a few great software options available to make the job a lot quicker and easier. 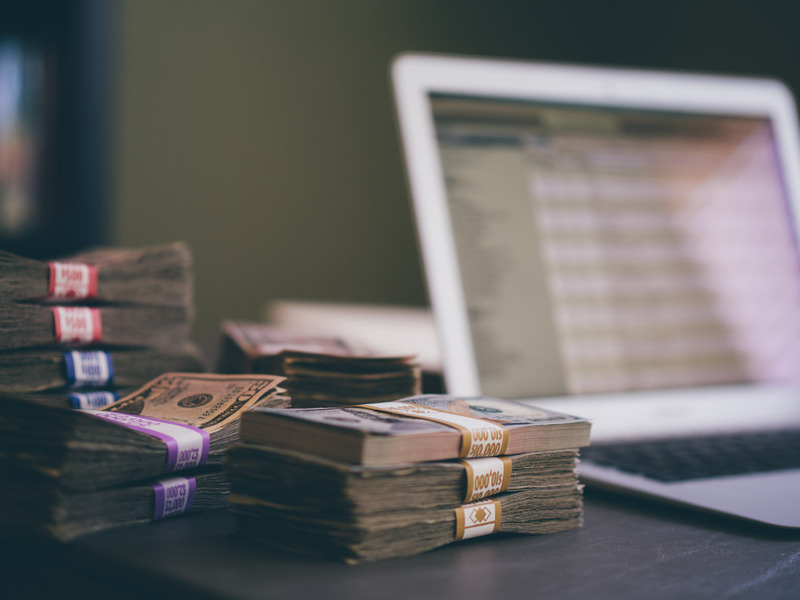 Despite the thousands of books and blogs dedicated to the task, when you get down to it, budgeting is quite personal — it’s just you and your money. Hopefully you have a system that works already, but if you’ve never done a budget before, you need to. You need to plan for the future and the rainy days that will come your way. Even though budgeting can be one of the most stressful aspects of financial planning (especially if you already feel overwhelmed as you watch the bills pile up), it’s vitally important to your financial health. It’s important that we have a firm grasp on the concept of budgeting before we can accurately evaluate personal finance apps. 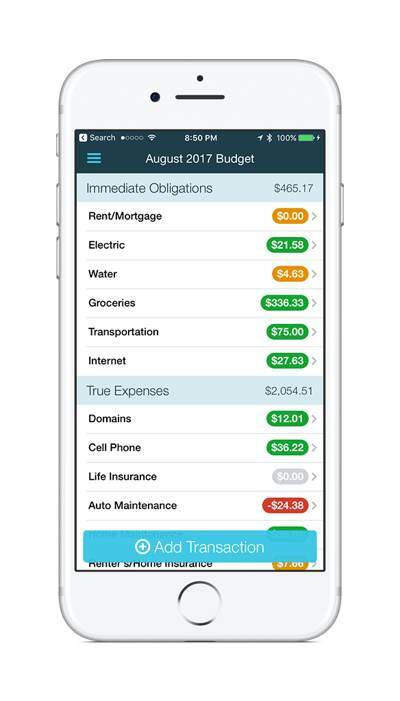 We asked Andrew Carroll, a CPA in California, to help us define budgeting and what he believes a budgeting app should do. The Sweet Setup: Do you recommend that people use a budgeting app to manage their finances? Andrew Carroll: Absolutely. Budgeting is all about data. The better your data, the better your decisions will be. Spending time collecting and processing data, however, does not add much value. Let the computers do that work. TSS: What advice would you give someone budgeting for the first time? Double your expected expenses. You spend a lot more money than you think you do. From another perspective: Don’t worry about getting the numbers perfect, especially right out the gate. The fact that you did ANYTHING is good. This is just like exercise. You cannot expect to be a hard body CrossFit hero because you spent all day Saturday working out. Being a master at something requires that you build a habit of doing it all the time. There is no shortcut to 10,000 hours. So spend a little time, each week, and build the habit. Before you know it, you will have an awesome grip on how the money in your world works. TSS: What, if any, differences exist between budgeting and financial planning? HUGE difference. Budgeting is about your income and expenses, or inflows and outflows. It is all about managing your personal income statement. Financial planning, primarily, is about managing your balance sheet. How do we deal with our existing assets and liabilities to maximize our net worth. Budgeting becomes an input for financial planning since “profit” (or money earned over what you spent) becomes savings, which should be directed into one of your assets or to one of your liabilities as per the financial plan. TSS: What is the most misunderstood aspect of budgeting? That the point of budgeting is to get all the numbers accounted for. It’s not. My favorite mantra at my office, which, ask my staff, I repeat ad naseum, is “It’s not about the numbers.” Which is an odd thing to say in an office full of number crunchers, right? But it gets right to the heart of the issue. If you think the purpose of budgeting is to make sure that all the numbers get in their proper box, you missed the point. The point of budgeting is to understand, generally, how your money is being spent and where it’s going. You probably only need 90 – 95% accuracy in your budgeting to get a good idea of where the money went. The point of budgeting is to get information — information that you can act on and make good choices with. TSS: How have free apps like Mint influenced public perception when it comes to budgeting? Optimist: People now realize that, and this is not exclusive to budgeting per se, any activity that used to be cumbersome because of the data manipulation involved, is no longer so. Budgeting apps, and our internet connected world, has allowed people to do more because they remove those data manipulation burdens. Realist: As a general rule, people are pretty dumb when it comes to money. They tend to make emotional decisions and let their behaviors be guided by psychological factors, not data-driven factors. That was true 100 years ago when we had no computers and will continue to be true 100 years from now when we fill in our budgeting apps by blinking our eyes. People will always be people. 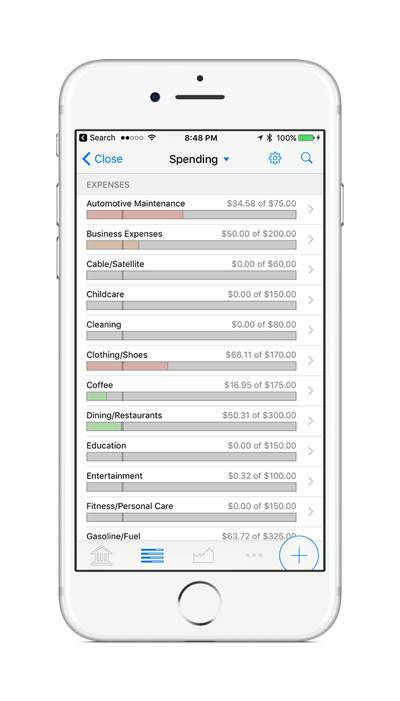 TSS: What features do you believe are most important to a budgeting app? Importing. The second most import would be importing. and third? The ability to import cleanly and easily. If you can’t give the app the username and password for all your bank and credit card accounts and have it go scoop the data for you, don’t bother with it. All you have done is make budgeting a data entry job for yourself and you will fail at it because no one likes doing data entry. TSS: How do budgeting / accounting apps help people when it’s time to do taxes? If your return is a normal W-2 only return, not much. But that is because we don’t need much data from you. If you have a business, a little bit of work each week means taxes are a breeze. Do a little work here and there and at year end, you can do a corporate and personal tax return in 40 minutes flat. It even leaves time for lunch and beers. Which would you rather have? Lunch and beers, or a two-hour tax appointment? TSS: What resources would you recommend to people looking to improve their budgeting habits? The single best resource is your time and attention. 20 minutes a week from you will make a bigger impact than any other app, program, service, or professional. With that being said, I recommend whatever app, service, or idea helps you spend that 20 minutes and build that habit. For help getting out of debt and getting off the ground with budgeting and investing, we also highly recommend Total Money Makeover, The Intelligent Investor, If You Can, and Money for Something. Side note: some of these are native Mac apps, but some of them are online services. In selecting the best personal finance app, we want to take into consideration all of the possible software and service-based options for people to use when tracking finances on their Mac. Since there are some very strong service-based options available, this review would be incomplete if we neglected to take services like Mvelopes, YNAB, EveryDollar, and Mint into consideration. Ease of Use – Managing your personal finances is difficult enough without having an application interface that works against you instead of for you. The app or service that you choose to use needs to make it easy to navigate to and find the information that you need, when you need it. Overall Design – The personal finance app you decide to use should also be well-designed. This goes hand-in-hand with being easy to use, but some of the apps we looked at definitely had an extra coat of polish that made them much more inviting and enjoyable to use. Ability to Import/Sync Transactions – As Andrew said, this is a critical feature for making sure that your financial information is up to date. Some apps pull in all your transactions automatically, which makes it easier to reconcile your accounts and makes sure your information is current, but can also skim over the actual impact of your transactions. Some apps are built around the philosophy of “feeling the pain” of every transaction. We’ll try to take this into consideration and point it out where necessary. The Ecosystem – While this article is written through the lens of our favorite personal finance app for the Mac, we realize that not all financial management activity will take place there. In fact, our survey showed that only 46% of respondents preferred to track expenses on their Mac. Since the right tool for the job is the one that you have with you, we also take into consideration the other platforms these tools exist on and the ease with which the data syncs between them. Reporting Options and Data Consumption – A very important aspect of personal finance management is being able to step back from the transaction level and look at the big picture. Graphs and charts that display macro-level information (i.e. end-of-year reports and tracking spending over time) can be very useful in identifying spending habits, tracking investments, etc. Goal Setting/Management Tools – Some personal finance apps have tools to help you go above and beyond basic budgeting needs and allow you to set and achieve financial goals. These can be very useful, but also require a bit more understanding and add some complexity to the application (but when implemented correctly, it’s totally worth it). Customer Support/Coaching – There is monetary value in having the peace of mind that comes with knowing that there is a friendly and helpful support staff ready to assist you if something breaks. Some services/apps take this a step further and also offer additional coaching/training options to not only support the software they develop, but also to educate their customers on basic money management and budgeting principles so they are ultimately more successful with their finances. Accessibility – If you live outside the USA & Canada, there’s a pretty good chance your financial institution might not be supported. 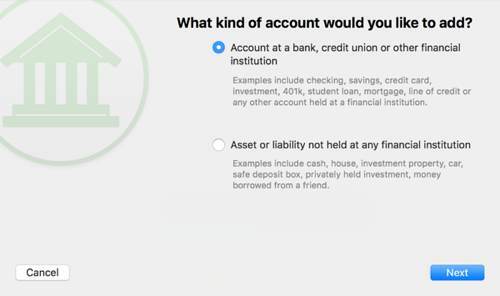 Some personal finance apps offer much better support in this area than others, but if you find yourself in a situation where you use a non-North American bank, your options might be limited. We try to take this into account when picking our recommended personal finance application. Price – While most personal finance apps are built on the same core principles, they are not all priced similarly. Some applications offer additional features, so you’ll have to weigh whether that additional functionality justifies the additional cost. Banktivity is the right blend of powerful features and ease-of-use to help just about anyone improve how they manage their personal finances. Importing transactions is a breeze, and it offers flexible budgeting tools to help you stay on track and make sure you meet your financial goals. And with the release of version 6, it’s even better. The Banktivity Dashboard has been updated for version 6 and looks a little bit cleaner, but it still offers easy access to all of your financial information. A sidebar on the left gives you access to your accounts, budgets, reports, and even websites for when you need to confirm transaction details from within the app. From the sidebar, you can also quickly access scheduled transactions, categories, tags, accounts, securities, and even currencies by clicking the Settings icon in the bottom-left. The summary of your financial health has been moved to the Summary in the main window, which keeps the sidebar looking tidy. The main window displays the selected information, like your transactions or your budgeting categories. This information changes based on which sidebar item you have selected, but the sidebar remains in place throughout your interaction with the app so you can quickly jump to the different parts of the application with ease. Drag an item from the sidebar onto the right edge of the window. Hold down the option key when viewing a report or budget and click an item to drill down. At first glance, this may not seem revolutionary, but it’s actually incredibly useful. For example, you may want see an account register next to your budget to see how your spending affects your budget. Or if you need to verify something in your bank website, you can drag the website over from the sidebar next to your account register. Banktivity makes it really easy to import and sync data online. You can sync data using one of three methods: Direct Download, web download (through an in-app browser window), and IGG Software’s own “Direct Access” that includes unlimited syncing between accounts and devices for a $40 yearly fee. While we had some trouble syncing certain types of accounts in previous versions of iBank, this seems to be largely resolved with the release of Banktivity. When testing the new version, we encountered zero issues using Direct Access. While Direct Download is free and may serve your needs if your bank supports it (and you live in North America), Direct Access is a private sync service that can actually access “thousands of banks worldwide,” so it’s a great option if your bank isn’t located in the US or Canada, or doesn’t support Direct Download. Banktivity also offers support for many different types of accounts. Checking, savings, cash, credit cards, loans, assets, liabilities, lines of credit, money market, investments, and 401k accounts can all be managed in Banktivity. Managing all of these things in one place is convenient because it can give you a more complete financial picture. Managing accounts with Banktivity is easier than just about any other app we tested. While it’s not the prettiest user interface, the learning curve in Banktivity is very manageable. There’s a lot of attention to detail here that makes it easy to get up and running. For example, if you have multiple transactions from the same payee and you change the category on one transaction, Banktivity will ask you if you want to change it for the other transactions as well. This may not seem like a huge thing, but it’s very important that you categorize your transactions correctly in whichever application you decide to use. If you don’t, your reports will not be very useful because you won’t be able to discern where or how you’re spending money. In order to accurately identify trends and really know if you are hitting your financial targets, you have to do some setup work. Fortunately, Banktivity remembers these values once you put them in, so after you do it once it makes it much simpler in the future. Banktivity also syncs all your accounts automatically if you are using Direct Access or Direct Download, so they are always up-to-date — no need to manually refresh your accounts. You can probably see the problem here — there’s no way to pull out the vacation transactions from everything else. The solution is to use tags. For example, if you use a #vacation tag on your vacation expenses, you can easily access a report based on that tag to see all your vacation expenses together. For any of these reports, you can choose which accounts you want to include in the reports, and you can select from a number of pre-defined or custom date intervals. You can create just about any report you can imagine inside of Banktivity, and if you’ve taken the time to categorize your spending, you can get this information quickly and easily. In addition to providing a lot of detail, Banktivity’s reports are also interactive. Instead of just showing that you spent $1,000 going out to eat last month, you can actually click on that section of the report and see all the transactions that meet that criteria. This allows you to really dig in and better comprehend how your money is being spent (all those $6 lattes add up). And if all these detailed reports weren’t enough, reports got even easier in Banktivity 6 with the addition of Quick Reports. Quick Reports allow you to instantly drill down into transaction categories and view reports on everything inside. To access Quick Reports when looking over transactions, just click Report On and select a category to access the custom report, then click the three vertical bars at the top of the report and drag it to the sidebar so you can keep tabs on it. For example, if you want to see how much you spend on fancy coffee, you can view the report by the category and then just drag the report to the sidebar. Now you can access the report again at anytime from the sidebar simply by clicking it, making it easy to track your hipster caffeine cravings. Banktivity does have iOS apps, but you have to purchase them separately. While the iPhone version is free, the iPad version is $19.99 and the Mac version is $64.99. That means that it is almost $85 just to access your information on all your devices, and that doesn’t include the additional purchase of the Direct Access add-on. The iOS apps are well-designed and sync easily with the Mac version using your Banktivity Cloud Sync ID. You can use the app to access just about anything you can in the Mac version. 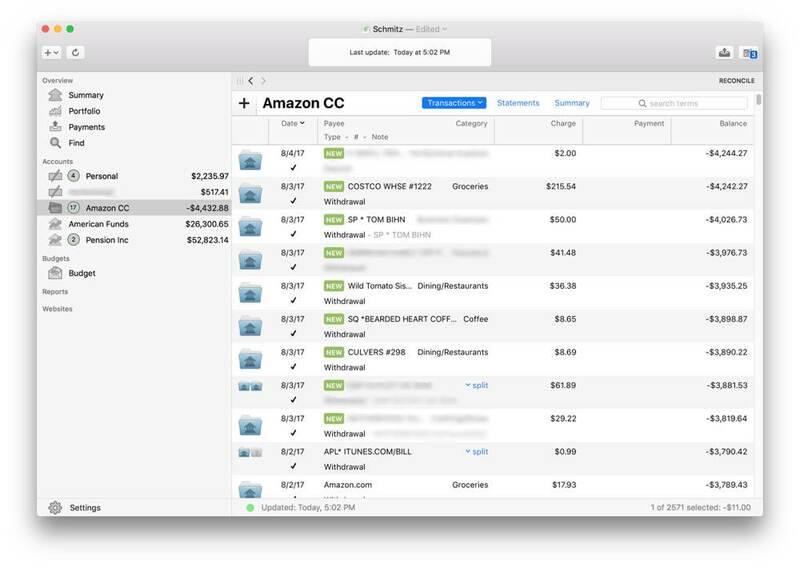 There’s a big button to quickly add a transaction, but it’s a very full-featured app that allows you do a lot of what you can do in Banktivity for the Mac while you’re on the go. A lot of people were upset when YNAB switched to a subscription-based pricing model. I was one of those who audibly groaned when YNAB announced they were moving to a subscription model, but I see that it is pretty easy to justify the $5/month (or $50/year) expense. In fact, YNAB says on their homepage that the average YNAB user saves over $200 the first month and over $3,300 the ninth month. If you’re not sure it will work for you, they offer a free trial so you can try it out. Given YNAB’s goal of helping you save more money, this is one app that easily justifies the price they ask consumers to pay on a regular, ongoing basis. YNAB applies a digital version of the envelope system to personal budgeting, so if you don’t like that approach, you probably won’t like YNAB. If you’ve tried it before and never gotten it to work for you, YNAB offers many training resources to help make your system “sticky,” including live classes and several helpful training guides to help you give every dollar a job. The new web app does a great job of guiding you through setting up everything from your very first budget, planning a month ahead, setting long-term savings goals, and more. In short, they not only give you the tools to manage your money successfully, they’ll walk you through it step-by-step. This makes YNAB a great starting point for people just dipping their toes into the personal finance waters as it is incredibly easy to use. YNAB can import bank transactions, but it doesn’t automatically download and categorize them the way other services like Mint or applications like Quicken do. This is a little bit more inconvenient, but it’s by design as YNAB requires you to manually approve each transaction. The reasoning for this is that they want you to “feel” the impact of each transaction. It’s easy to get in the habit of just swiping your credit card, and manually entering transactions into YNAB makes it painfully obvious what you’re spending your hard-earned money on. YNAB has a companion iOS app that’s free and is great for manually entering transactions since that’s at the heart of the YNAB model. Both the web app and the iOS app are very well-designed, but the number of banks that YNAB will sync with is limited. There’s a good chance that if you use banks outside the US or Canada that YNAB may not be able to import your transactions for you, which makes it much more difficult to use and maintain. Of all the apps we looked at, MoneyWiz is easily the most beautiful (even with the improvements to the Banktivity dashboard with version 6). 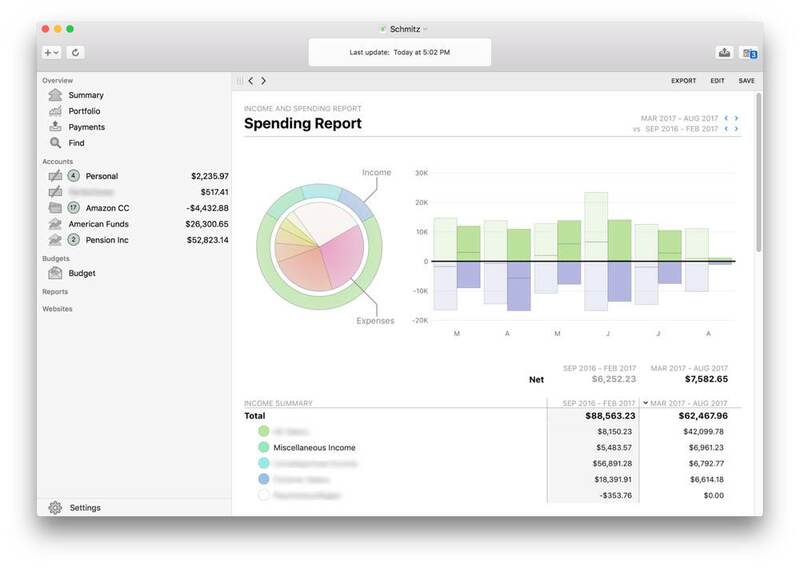 It looks and feels like a native Mac app (it even has TouchBar support), but lacks some of the more powerful features that are in our favorite app, Banktivity. One major plus for MoneyWiz is the accessibility for international readers. Many personal finance apps support “hundreds of banks” using the OFX format, but MoneyWiz supports over 16 thousand banks in over 40 countries. For our readers outside the United States & Canada (regions most other apps are limited to), that makes MoneyWiz a very strong option (and maybe your only option). MoneyWiz also has a unique pricing structure as you can choose to either buy the application outright or subscribe monthly to receive free updates. The standalone version of MoneyWiz is $24.99 for the Mac version and $4.99 for either iOS or Android, but to unlock online banking it’s an additional $4.99/month or $49.99/year. Major updates (i.e. MoneyWiz 3) are paid updates for the purchased version. The alternative is to download an ad-based, free version of MoneyWiz, and if you decide to upgrade (which you’ll need to do to unlock online banking), it’s slightly more expensive than with the paid version ($5.99/month, $59.99/year). With a subscription, though, you don’t have to pay for individual versions and can download whatever version you’d like for free. Once you’ve downloaded a new version, just log in with your credentials to upgrade. And lastly, MoneyWiz is now part of the SetApp service, so if you are willing to pay the $9.99/month fee you can get access to MoneyWiz and a bunch of other awesome apps as well (like Ulysses, our favorite Pro Writing app for the Mac). 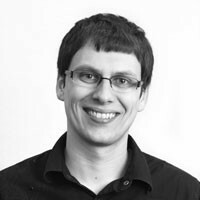 iFinance is a full-featured personal finance app from German developers, Synium Software. This app has been around awhile, and it shows in the refinement and attention given to even the smallest details. It’s a very mature and well-thought-out application, and the feature set shares a lot in common with Banktivity. 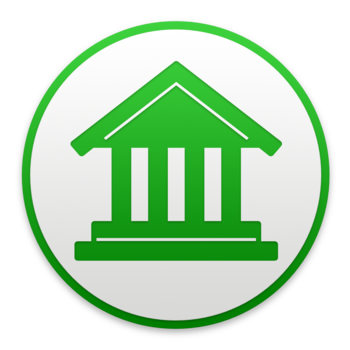 iFinance even has some additional features that Banktivity lacks, and for German Mac users it offers built-in support for German banks using the Financial Transaction Services (FinTS) protocol. Even though version 4 of iFinance now supports the OFX format and can sync with hundreds of US banks, it’s still significantly less than the thousands available using the Direct Access service in Banktivity. The reports are also not as in-depth as Banktivity (the interactive reports in Banktivity were by far the best we saw in our testing). iFinance is a strong option for budgeting on the Mac, and if you want more customization options you should definitely give it a look. It takes a little-bit-different approach to how data is displayed, but gives you more flexibility as well. Moneydance, by The Infinite Kind, is another full-featured native Mac app that has been around for awhile. A couple of the reviews featured on their website were actually published in 2005 and 2007 respectively, and The Infinite Kind have built on the solid foundation of the app which now offers features like online banking and bill pay. The user interface is nice, but we didn’t like the layout quite as much as Banktivity. It does offer more widgetized areas to provide you additional financial information (like exchange rates), but some of this may be unnecessary. There’s a lot of reports available that offer some level of additional detail (a pop up will show you the contents of a category when you hover over it with the cursor, for example), but they’re still not as nice and don’t offer the full control of the interactive reports in Banktivity. One very interesting feature of Moneydance is the developer API, which allows developers to extend the Moneydance functionality and use the information from Moneydance in creative ways. They even offer some sample Python scripts on their developer page. If you really want to tinker with how things work under the hood, Moneydance gives you that ability. Fill your expense buckets when you get paid. Assign your spending to buckets. Stop spending when your buckets tip over. If you take the time to really figure out MoneyWell, it’s a really powerful application. It does take awhile to set it up correctly, though, and it only has minimal support for investments. 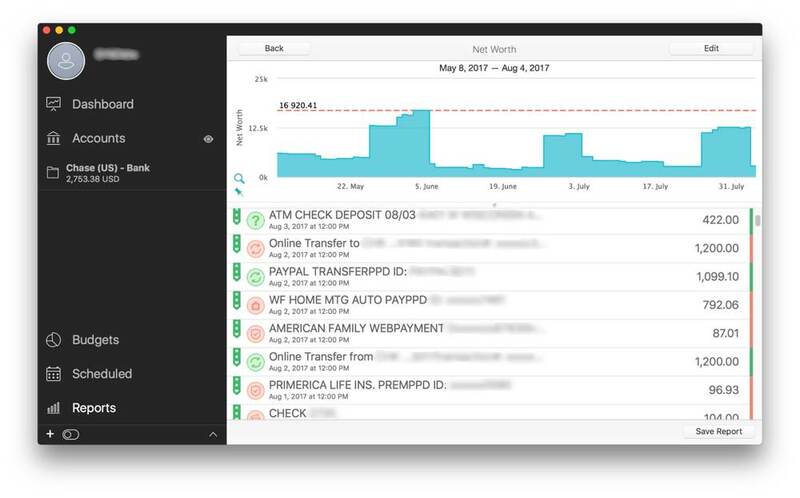 If you want to track something besides basic savings/checking accounts and credit cards, it’s not really the app for you. It’s great for budgeting and the reporting tools are solid, but if you want to track investments you’ll have to do that elsewhere. Quicken is one of the most popular finance and budgeting apps of all time, used by millions of people to manage both personal and professional finances on a daily basis for years. Odds are you’ve seen or used Quicken before in either a personal or professional capacity. Unfortunately, Quicken for Mac disappoints in many ways. Many of the features that Quicken pioneered are now available in other Mac apps and are often implemented much better. 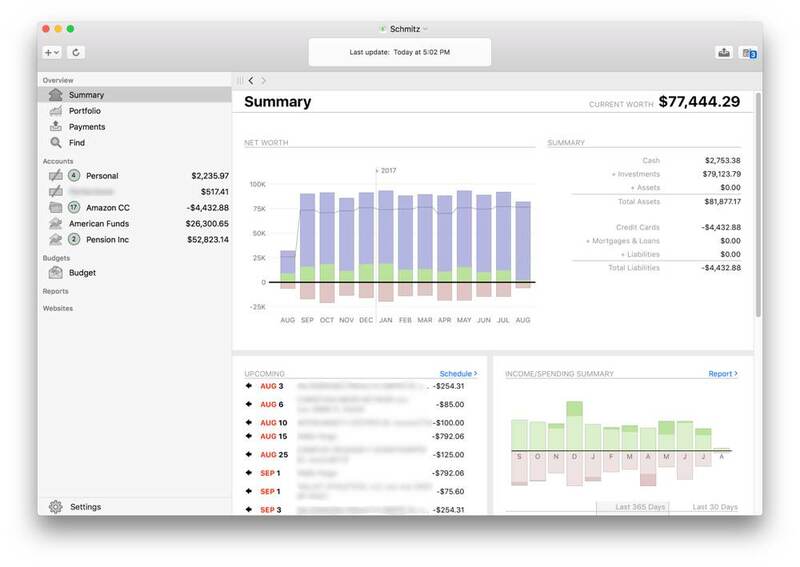 Quicken 2018 for Mac is now only available as a yearly subscription, and it feels clunky and cumbersome to use. With Quicken 2018, you can only download the app directly from Quicken’s website. 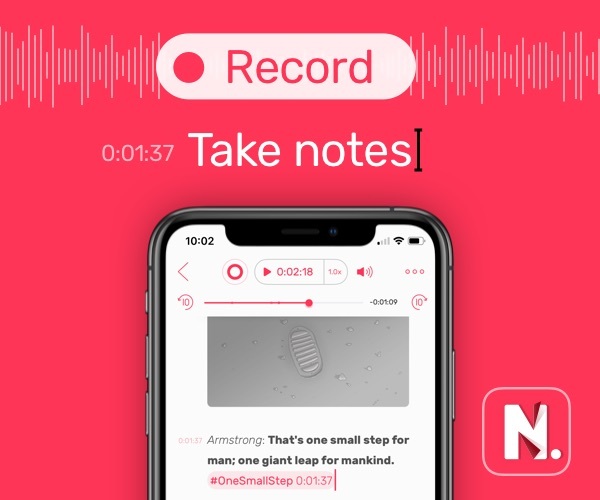 Previous versions of Quicken for Mac were riddled with bug reports in the Mac App Store reviews, and the iOS version of the app is currently rated at less than two stars. Pricing tiers range from $34.99 per year (“Starter”), $49.99 per year (“Deluxe”), or $74.99 per year (“Premier”), and all offer different levels of features. Since Quicken 2018 is fairly new, the Deluxe and Premier tiers are currently 40% off for a limited time. Quicken also has a history of forcing people to upgrade versions (which is unavoidable now with a subscription model), and it seems like these upgrades often create problems. This is unacceptable when you’re talking about people’s financial data, especially given that the Quicken developers control the standard data type that the software uses. In our opinion, it’s inexcusable that one version of Quicken data wouldn’t import successfully to an upgraded version (even as recent from 2015 to 2016) when other third-party apps are able to import it without issue in our testing. Quicken 2018 has some nice features like online bill pay (which requires the top level “Premier” subscription) and the ability to export your data to TurboTax, but technical issues seem common. This wouldn’t be so terrible if they had phenomenal support to help you fix things, but we found customer support lacking as well. One user reported an average wait time of 60 minutes for phone support, and 30 minutes for even basic chat support. Quicken does offer a 30-day money back guarantee, however, if you want to give it a shot. There are quite a few web services to choose from, and more are added every day. Cloud-based personal finance software can provide easier access to your financial data since you can log in securely from any web browser and you’re not tied to a specific access point. For people who move around a lot and need to access their data from multiple devices or locations, this can be a better option than standalone software as all your settings and preferences will sync with you. Here are our impressions of a couple of the more notable ones. EveryDollar is a new online option created by financial guru Dave Ramsey. It has a great user interface and allows you to manage Dave Ramsey’s “debt snowball” approach, but it does have some downsides. For one thing, if you don’t want to manually enter each and every transaction by hand, it’s very expensive. While EveryDollar Basic is free, if you want to import bank and credit card information into the app, it requires the Plus version (which is $99/year). This is significantly more expensive than almost every other option out there, and the cost is not justified in our opinion. Mint actually does this for free, and even with the full purchase price of our recommended native Mac app (Banktivity) and the optional yearly Direct Access fee to automatically import transactions ($39/year), it’s still less than one year of EveryDollar Plus. Mint is the ultimate tool for the “knowing where your money went” crowd. It’s free, and because it’s owned by Quicken, it can get around charging for direct access to financial institutions. This is great when it works, but, unfortunately, it’s fairly common for accounts to become “disconnected.” When this happened in our testing, the way to fix it is to go back in and re-configure them in order to get them working again. This can be a bit of a pain, but it’s not a huge deal. 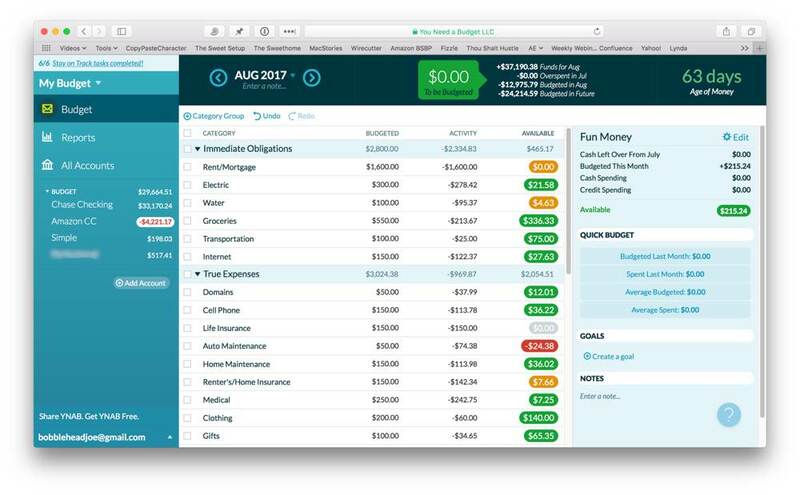 Mint does offer a bunch of great features for managing your finances online. Mint’s budgeting tools have become significantly better over the years and are very easy to use. The app also offers customized tips for helping you reduce fees and save money. Mint can even send you alerts for unusual account charges if you’d like. Everything Mint offers is completely free, so if you are looking for the cheapest option to get started with budgeting, this is it. Mint’s mobile apps are very well-designed and also provided for free. You might be wondering how Mint makes money if everything it offers is free. Mint actually sells your aggregate financial (not individual data) to third parties and uses it to provide customized offers as a way of helping you save money. When they recommend a service and you sign up for it, they get a referral fee. Since no private data is shared and the Mint servers are secure, this isn’t really a big deal in our opinion, but just know what you’re getting into. If you get annoyed with “ads” (even ones that can help you save more money), you might not like Mint, but that’s how they keep the lights on. A free personal finance aggregator that shows you all your information. A paid advisory service to help you manage your money. The free tools are very powerful, and include features like budgeting tools, a retirement planner, and even a 401(k) fee analyzer. The personal tools are easy to use and well-designed, and there’s no need to use the paid advisory service if you don’t want or need to. In our experience with the app, we found almost no mention of the upsell, so you don’t have to worry about being bombarded with offers (obviously, that can change). Personal Capital has some great features, but it’s not for everybody. It has a heavy emphasis on tracking investment portfolios, so if all you’re looking to do is to create a basic budget, it might be overkill. Finicity’s Mvelopes is a web-based service that aims to help people get out of debt. Mvelopes helps you look at the future and manage your spending accordingly by strictly adhering to the envelope budgeting system (as the name implies). Mvelopes has been updated and no longer offers a free plan, but all the paid plans do offer a 30-day free trial. The Basic edition is $4/month (or $40/year) and gives you unlimited accounts and spending envelopes. The Plus edition is $19/month (or $190/year) and gives you additional debt management tools and video training resources. The Premier edition is $95/month and is customized for individual needs, offering 1-on-1 coaching as well as phone support. The upgrades can be a bit pricey, but Mvelopes’s basic tier is more than enough for most users. While Mvelopes has both iOS and Android apps, it doesn’t have a Mac client. The web interface has been updated and no longer requires Flash to log in, but it’s still got a ways to go compared to the other cloud-based options on the list. Ultimately, the right personal finance application for you is the one that makes sense and is easy for you to use. The measure of effectiveness is the amount of time it saves you and how easily it integrates into your personal finance workflow. For most people, Banktivity is going to provide a full feature set and powerful reporting tools to help manage their money more effectively. And with the addition of Workspaces, Tags, and Quick Reports in version 6, Banktivity continues to lead the pack in innovative features while still being accessible and easy to use. For people just starting out, YNAB is a great option as it walks you through the budgeting basics and helps you start saving money right away. And if you rely on having access to international banks and neither of those will work for you, MoneyWiz is a solid alternative with a great user interface and access to vastly more financial institutions than any other app we looked at.